The Holiday Inn Express & Suites Fort Worth Downtown is conveniently located in the heart of downtown Fort Worth, Texas, our hotel is less than 1 mile from the Fort Worth Convention Center, Will Rogers Memorial Center, Sundance Square and several area businesses and attractions. Our centrally located hotel offers 163 guest rooms and suites featuring our new premium 6th floor. All guest rooms are fully equipped with flat-panel HDTVs, mini fridges, microwaves, spacious workstations and complimentary high-speed Internet access. Whether it's a one-day board meeting to week-long corporate conference, enjoy our 1, 700 square feet of meeting space offering full service catering and audio visual options. Ideally located near XTO Energy, Pier1 Imports, Radio Shack, D.R. Horton, Cook Children's Hospital, Harris Methodist Hospital, Plaza Medical Center, Chesapeake Energy, Baker Hughes, Lockheed Martin, Boeing, Schlumberger, and numerous other businesses, our hotel in Fort Worth is perfect for business travelers seeking lodging in Fort Worth. 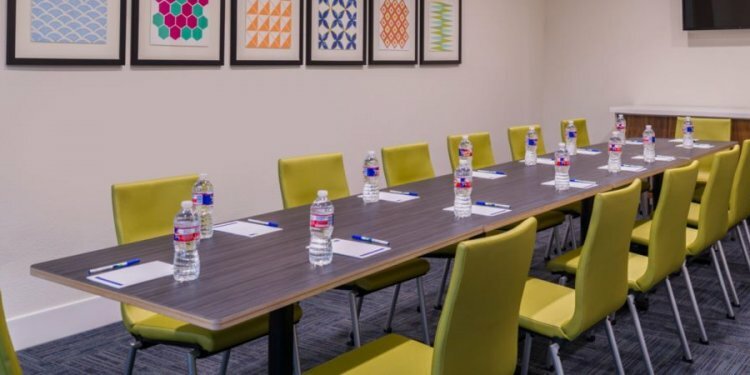 Whether you will be attending meetings at a local business, the Fort Worth Convention Center or you choose to host your own in our spacious meeting rooms, our downtown Fort Worth hotel offers everything you need.